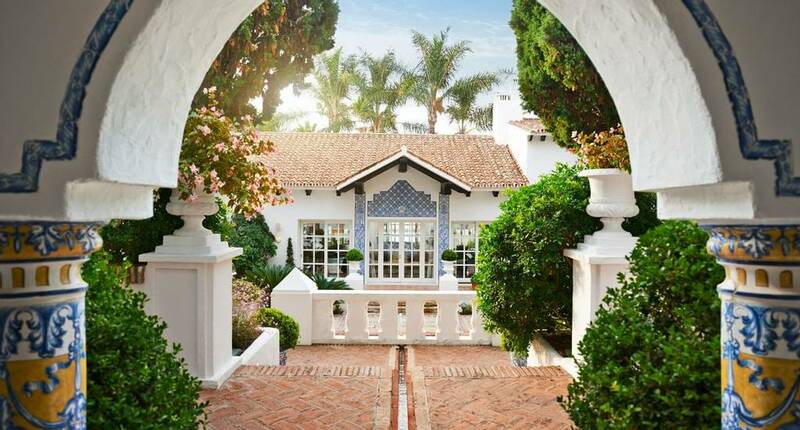 Originally a royal private residence on the sparkling Spanish Costa del Sol, this luxurious Mediterranean hideaway is now known as Marbella Club. 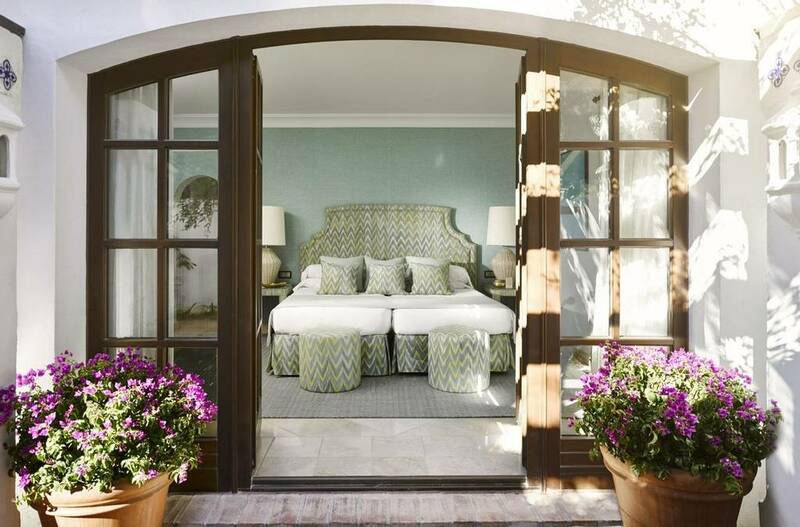 Situated within beautifully lush gardens overlooking the ocean, Marbella Club features 37 luxury bedrooms, 78 prestigious suites, 14 Andalusian Style villas and the stunning Villa del Mar. 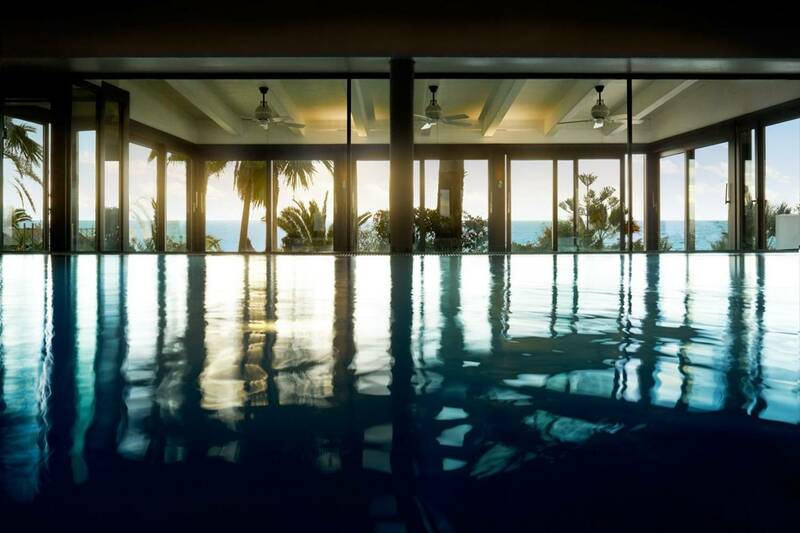 With every detail taken care of, indulge with reviving treatments in the grand beachfront Thalasso spa, take a dip in the sunlit pool or keep active with a beach workout. 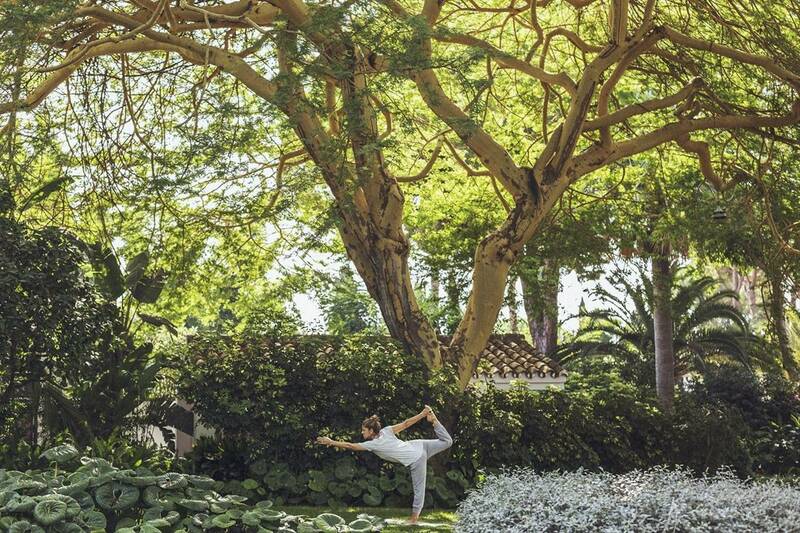 With a varied range of wellness holidays, from fitness to detox breaks, Marbella Club’s top health experts will ensure that you receive faultless personalised care as you boost your well-being in ultimate sophistication. 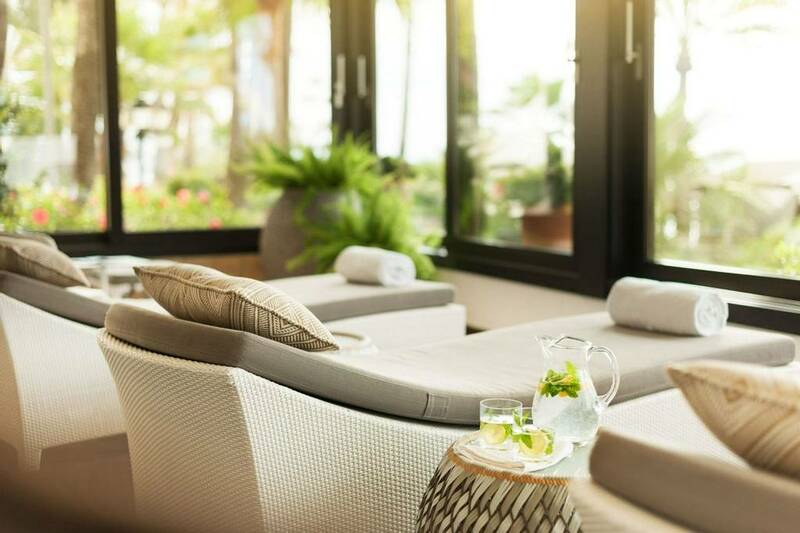 Nestled in the heart of the coastal Golden Mile, in between the buzzing towns of Marbella and Puerto Banus, this beachfront boutique hotel is set within 42,000 square metres of exotic subtropical gardens with remarkable views overlooking the Mediterranean Sea. 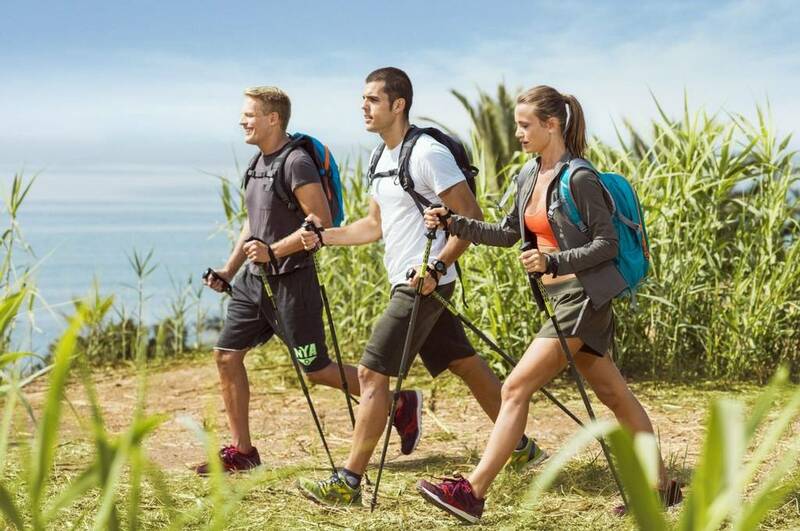 Local hiking trails connect you with the local mountainous natural park (Sierra de las Nieves). 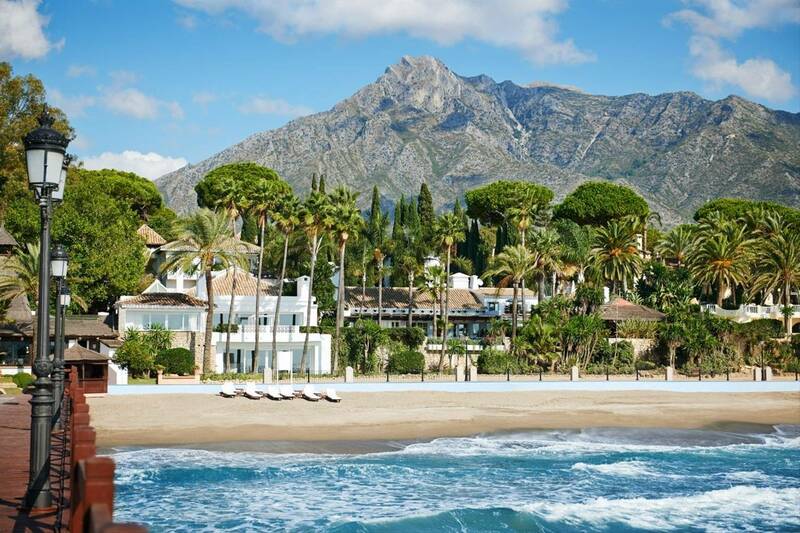 This idyllic spot is only a fifteen minute stroll along the beachfront to the chic boutiques and traditional tapas restaurants of Marbella and just a ten minute drive away from the beautiful Marina of Puerto Banus. 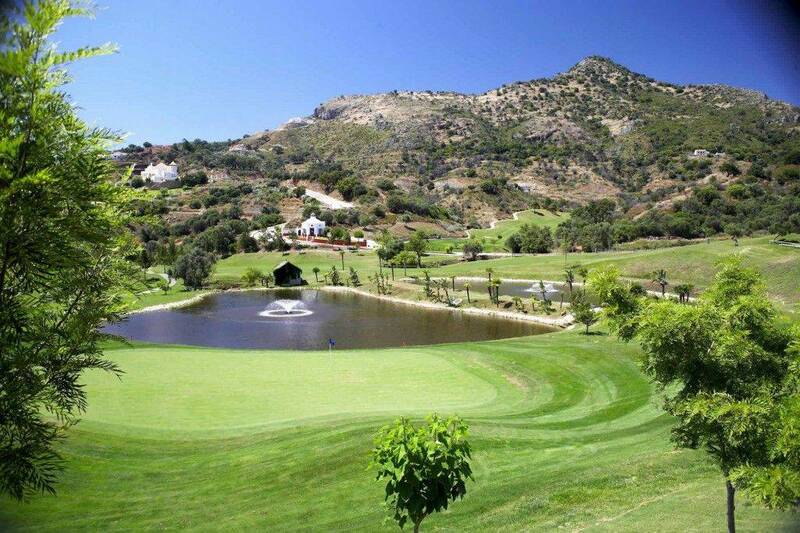 Marbella Club offers the choice of several different restaurants. 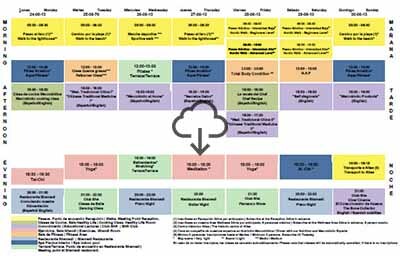 Personalised nutritional programmes are also available with the wellness programmes which advocate the Mediterranean diet. Fresh and light menus are based on fresh fruit, vegetables, legumes, cereals and olive oil. 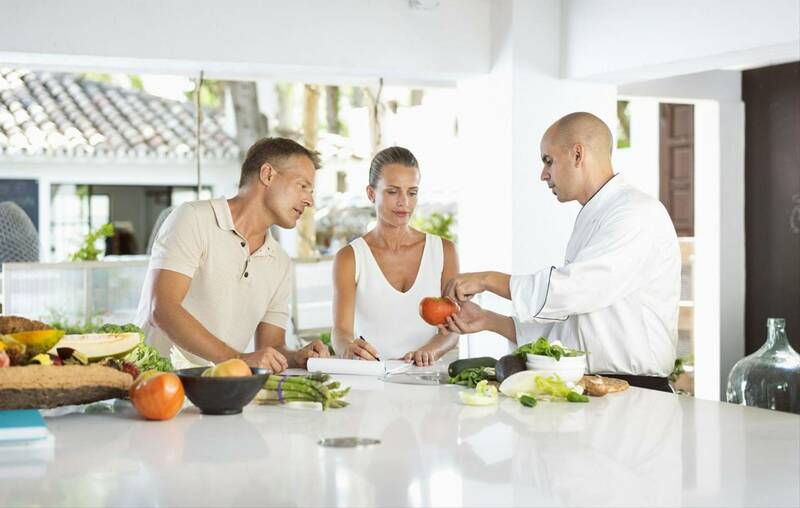 Healthy menus have been created by an expert dietitian Amanda Hamilton and executive chef to ensure that gastronomy and nutrition work together in harmony. The delicious healthy cuisine is designed to motivate and inspire you to continue the lifestyle when you leave. 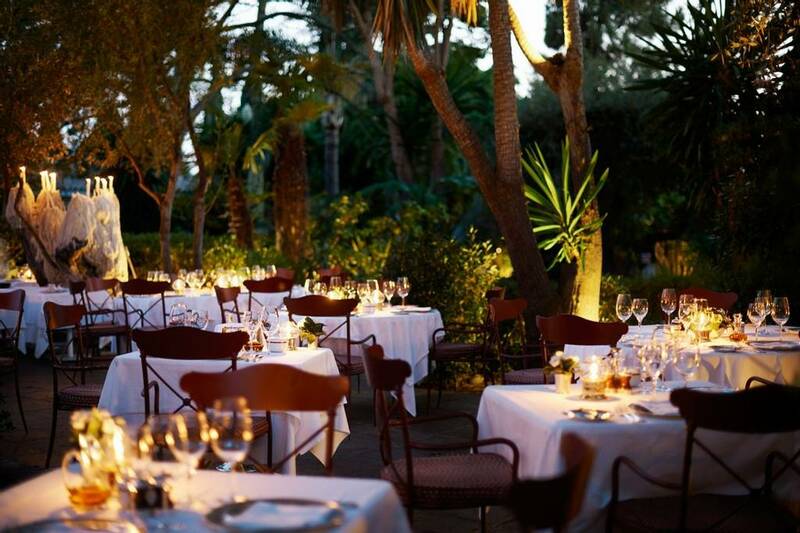 Dine under the stars with a menu created by the award winning chef Juan Gálvez who uses seasonally available ingredients to enrich the flavoursome dishes of high quality meat at the legendary Grill Restaurant. Known for its international daytime buffet, the Beach Club offers the highest-quality fresh ingredients in their exquisite salads, grilled meats, traditional paella and just-caught fish enriched with a range of European, Asian, Lebanese and Spanish flavours. The perfect place for an aperitif on a warm summer evening, The Summer Bar, offers a wide range of delicious cocktails set under the starlight with live music playing every night. 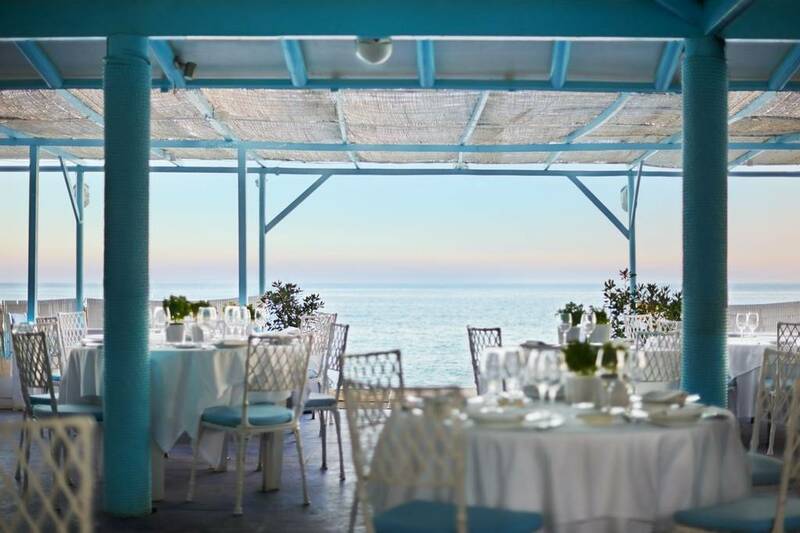 A stylish seafood restaurant on the beach overlooking the Mediterranean Ocean offering gourmet salads and fresh seafood roasted on the spit. This elegant yet friendly atmosphere, which is also a popular place within the locals, is open for coffees, light lunches, afternoon treats and dinners. Their European/Asian inspired menu includes appetizers such as ceviche, sushi, gourmet salads and wood-fired pizzas alongside delicious burgers and pastas. 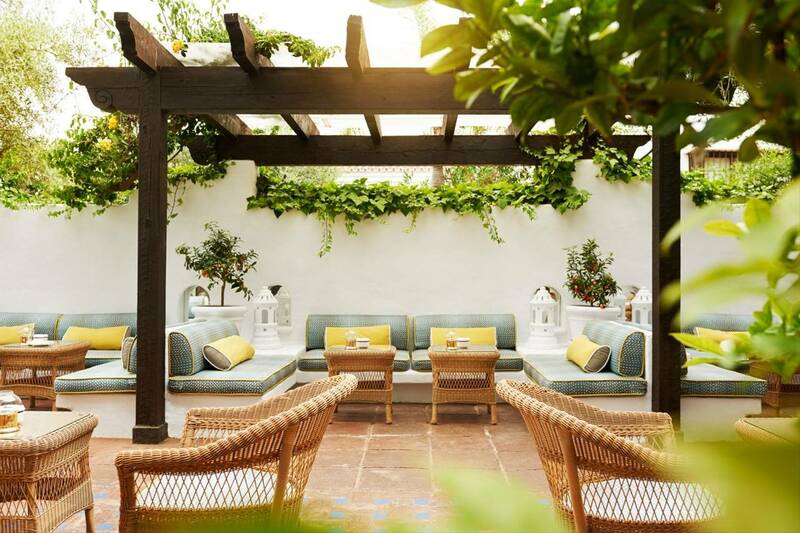 Located in the heart of Marbella Club, the Garden Pool offers a refreshing menu including a selection of healthy salads, sandwiches and other light meals. 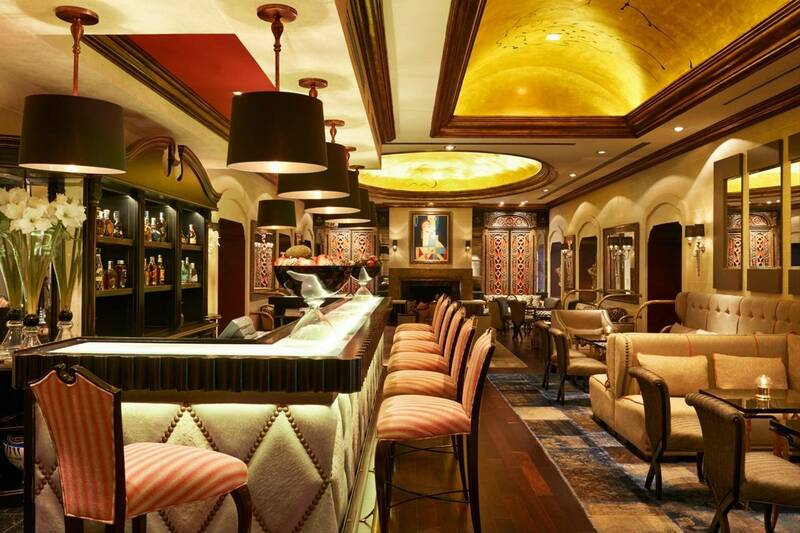 Enjoy a glass of Champagne in this glamorous bar designed by Jean-Pierre Martel, with a small plate of shrimp tartare and avocado mousse, lobster sashimi, blinis with caviar or mini hamburgers. Thursday and Saturday evenings include entertainment from the grand piano featuring live jazz performances. Start your day with an array of breakfast options, including freshly baked breads and pastries, fresh juices, tropical fruit and eggs made in the style of your preference. Gluten-friendly and calorie conscious options are also available. The boutique shops and traditional tapas restaurants of Marbella Old Town is only a five minute drive away and the beautiful Marina of Puerto Banus are only a ten minute drive. 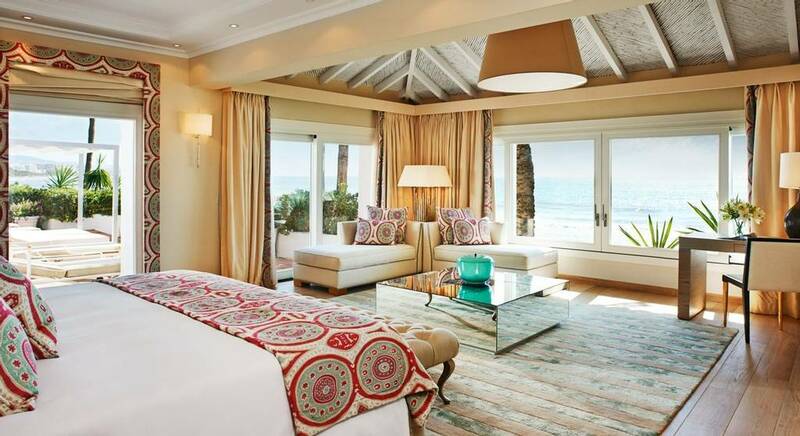 Marbella Club features 36 deluxe double rooms of varying sizes, 79 suites, 14 villas and the palatial 6-bed Villa del Mar. 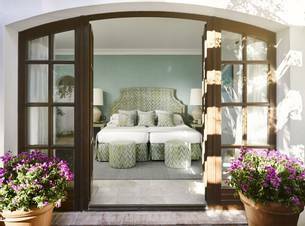 These classic chic rooms stylishly designed by Jean-Pierre Martel and Kamani Ezralow offer gorgeous views over the subtropical garden from a private terrace. 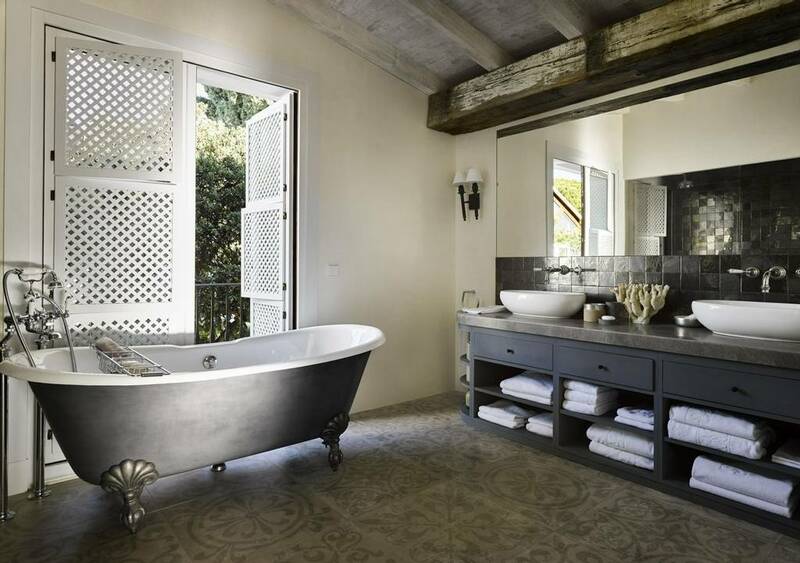 Complete with a marble ensuite, with a separate rainshower and bath. Also available at beach front or with partial sea view on request. 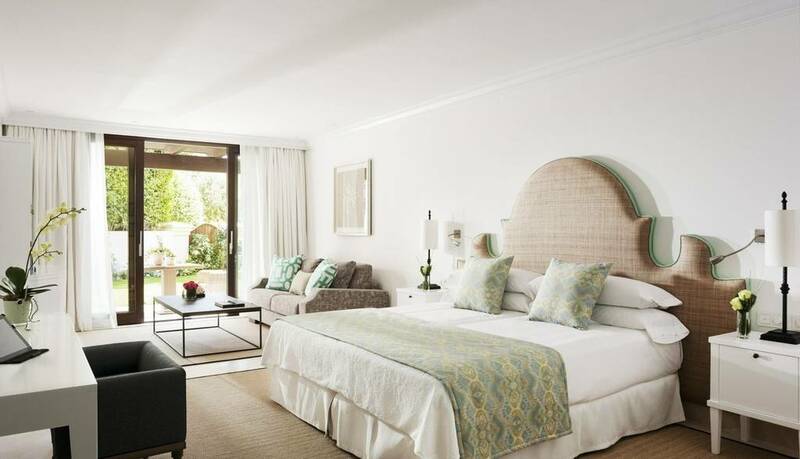 Located in the heart of the resort’s gardens by the upper pool, these relaxing and spacious opulent rooms include a private furnished terrace, a large living space and a marble bathroom with double vanity. 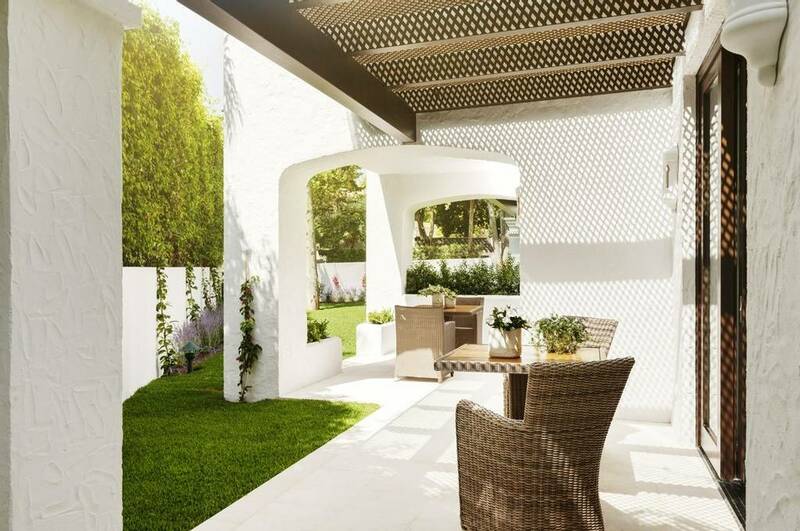 These luxurious Andalusian-style villas, designed with an elegant touch, feature a private patio and garden area, a spacious living area and large marble bathrooms. 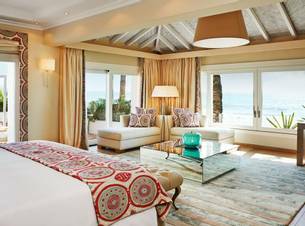 Options include a two-bedroom villa, two-bedroom villa with pool, three bedroom villa, four bedroom villa or a five bedroom villa. 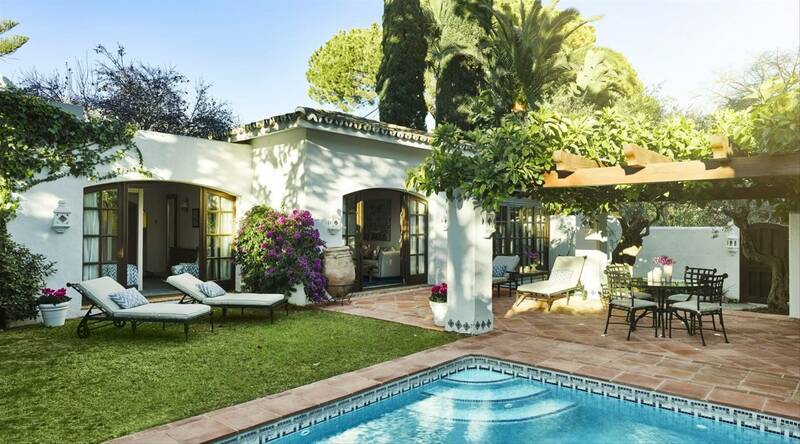 This magnificent six bedroom private villa surrounded by beautiful exotic gardens is located at the seafront offering extravagant views over the Mediterranean. 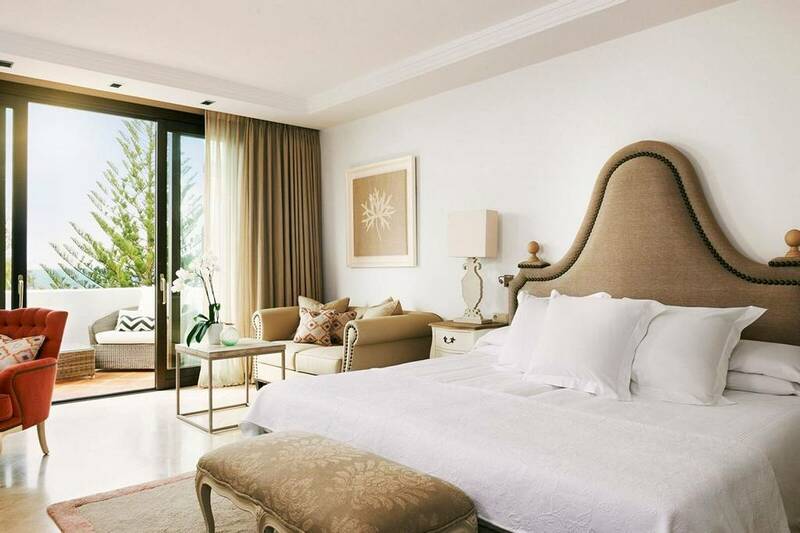 Live in luxury with a large private infinity pool, Jacuzzi, eight outdoor terraces, a cinema, sauna, a private zen garden and direct access to the beach. 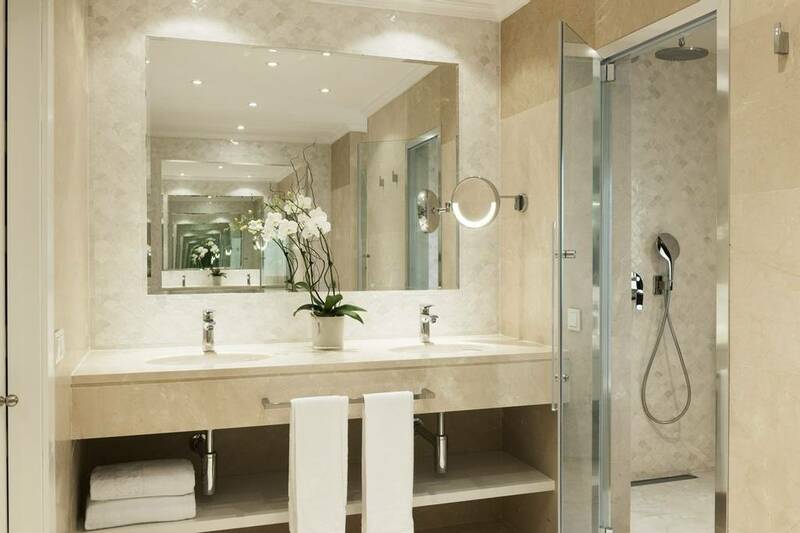 Enjoy the highest quality of luxury services tailored to your personal preferences including a personal 24 hour butler, a maid, and a bar and kitchen stocked to your desires. Situated on the beachfront with panoramic Mediterranean views, the Thalasso Spa is committed to delivering an all-encompassing fusion of modern and ancient healing methods, using mineral-rich seawater and sea products to re-energize the mind and body. 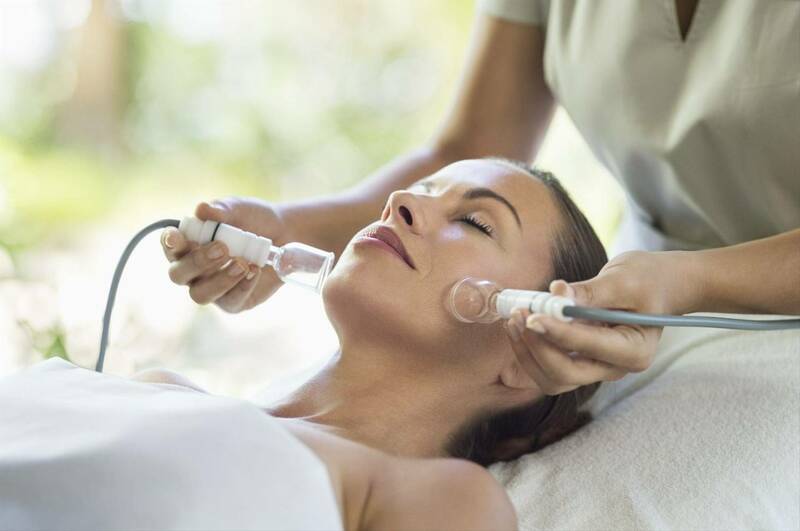 The detoxifying therapies ensure a complete cleanse, leaving you feeling refreshed and purified. 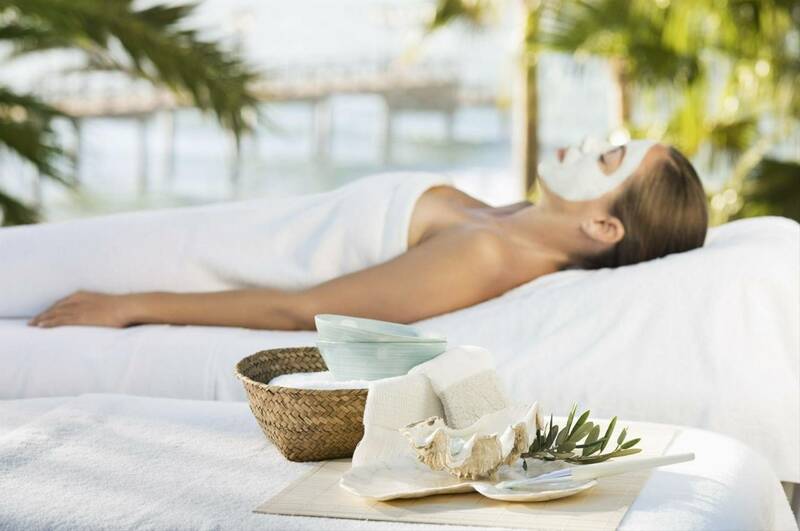 The spa offers a variety of state-of-the-art facilities including a dynamic seawater pool, Osmanic steam baths, saunas and 12 treatments rooms offering a full range of Thalasso and beauty treatments. Marbella Club is dedicated to providing an all-encompassing wellness experience which emphasises the benefits of the Mediterranean principles, healthy cuisine, activities, holistic and thalassotherapy treatments. The supportive and dedicated team of professionals are at your service to deliver immediate and sustainable results. Does not apply to our Fusion Fitness or Mindful Triathlon programmes. Amazing! Better than I could ever dreamed of! Loved every moment of it, absolute bliss! It’s so lovely and relaxed, with the right balance of activities. I recommend 100%, you won't regret such a wonderful choice of paradise! 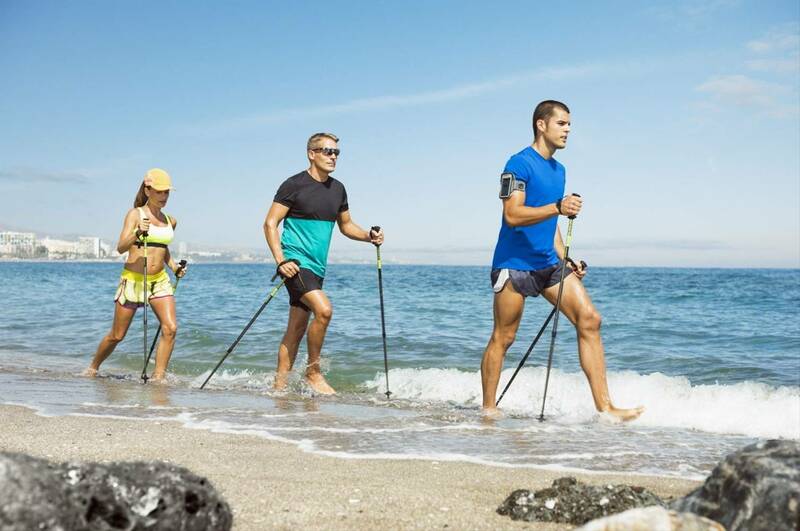 Health and Fitness Travel is brilliant, helpful, knowledgeable and understood what I was looking for. 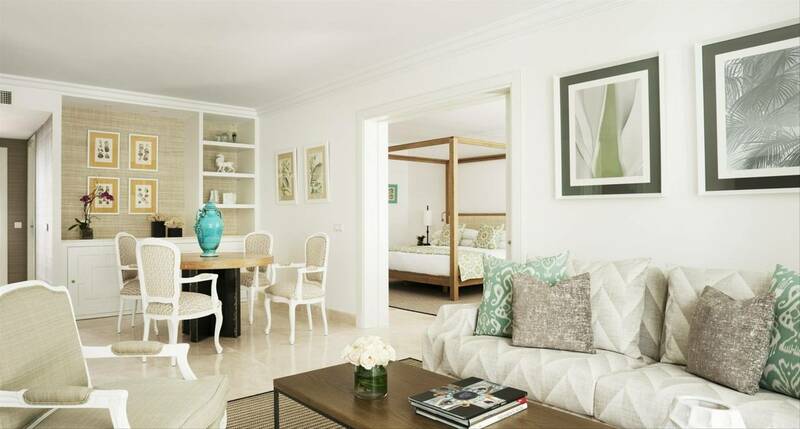 Its location is superb: nestled on the sunny Costa del Sol between the charming Marbella Town and the glamourous marina of Puerto Banus, you can choose between socialising with the rich and famous or strolling along the promenade. The bars and restaurants onsite serve a variety of delicious food which has that certain something. As an example, you can set the tone for a blissful day by having a glass of sparkling champagne with your breakfast. 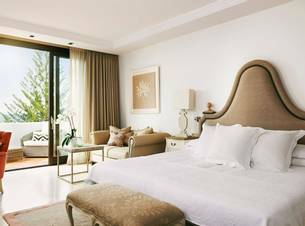 All of the rooms are luxurious and spacious, however still comfortable and a great spot to unwind after an action-packed day. 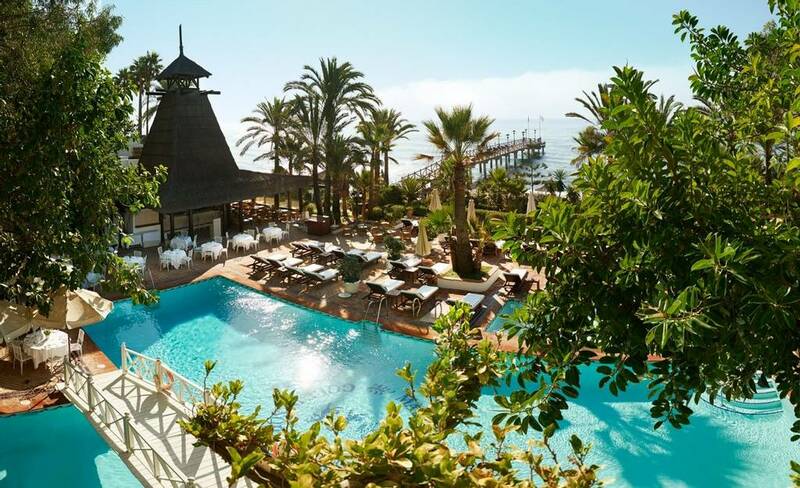 One should mention Marbella Clubs impressive attention to detail; from the attentive staff and clean, well-maintained property to the breath-taking decorations on the walls and floors. 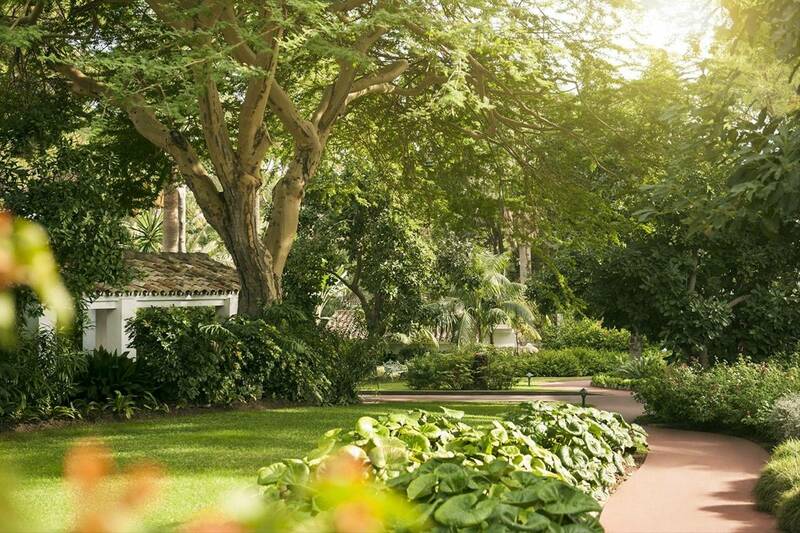 The lush, beautifully arranged gardens exude a certain tranquillity and remind of an exotic island. Enjoying an after-dinner drink in the lounge bar listening to the sounds of a vocalist and pianist provides a truly romantic experience and is ideal for couples in need for some we-time. 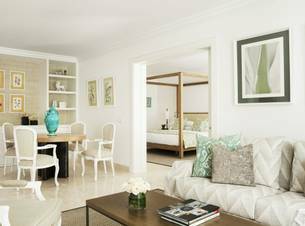 Being a former private residence accommodating Hollywood icons of the 1950s, you can still sense the timeless glamorous atmosphere today and feel like a celebrity yourself due to the excellent service provided. 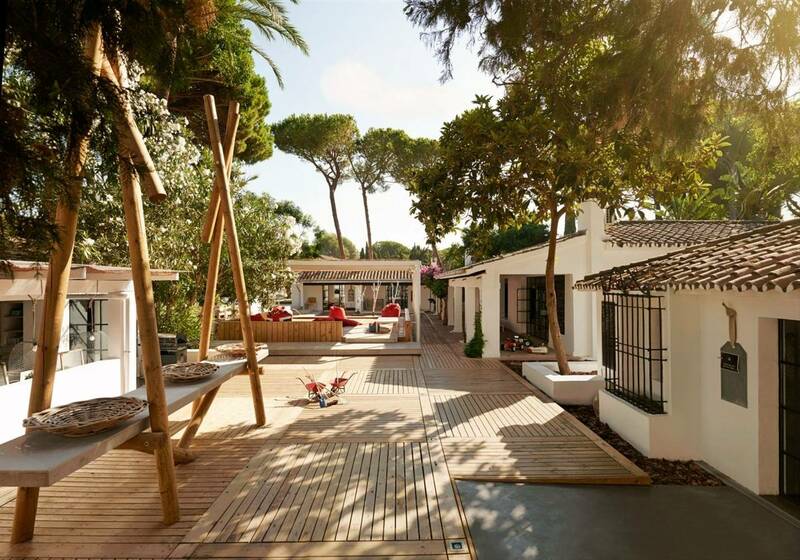 The kids club is a wonderful opportunity for your little ones to be entertained and make new friends whilst you pamper with a spa treatment or relax by the pool. Those who wish to explore the surrounding areas and save some money can swap the hotels restaurants for cheaper dining options. This resort is suited for a careless beach holiday with vivid nights, rather than a place for absolute tranquillity and relaxation. 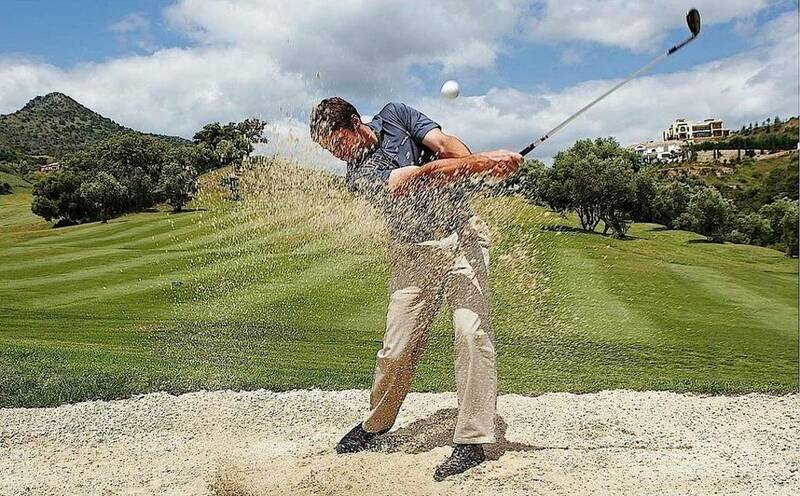 Really ambitious golf players could accuse the golf course for not being challenging enough. 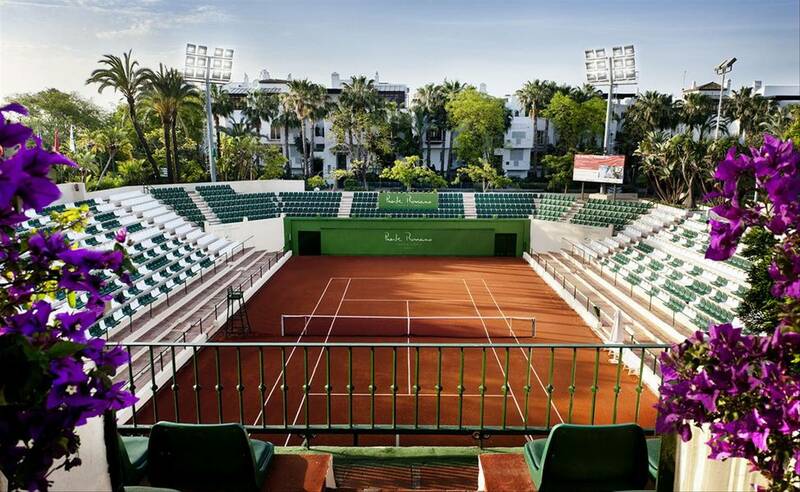 However, it’s still good for a little relaxed match. The food at the resort is flawless, however quite pricey. 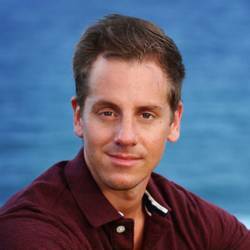 There are great restaurants around the resort to have an authentic and cheaper dining option. This is a child-friendly resort and therefore you should be okay with sharing facilities like the pool with the young guests.